Hi everyone! 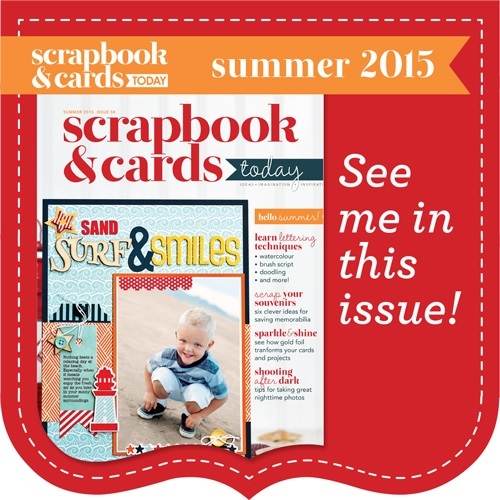 It's Traci to share a Doodlebug Cream and Sugar cut file project with you. 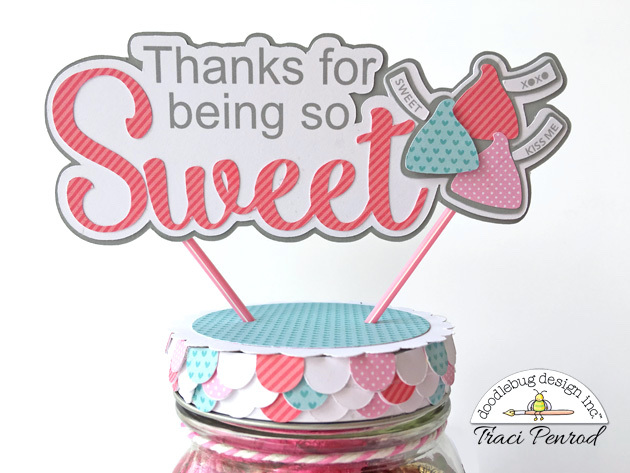 This candy jar makes a great little gift for friends, teachers, or co-workers! 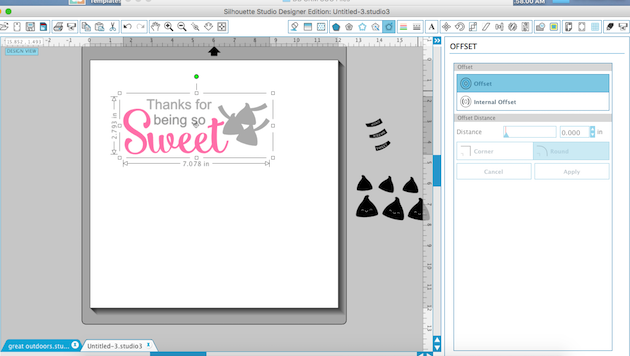 I'll also show you how to make the layered title piece using Silhouette software so let's get started. 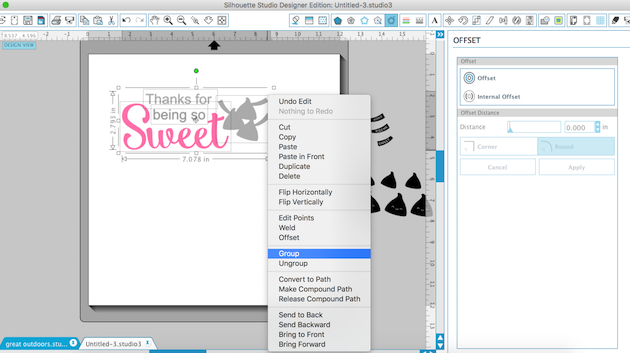 Step 1: Use the text tool to type "Thanks for" and "being so" above the SWEET cut file. If you type them on separate lines, you can move them around to fit the way you want. 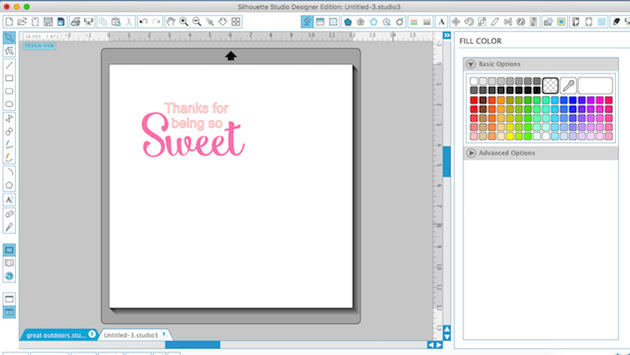 Step 2: Position the KISSES cut file next to the title. 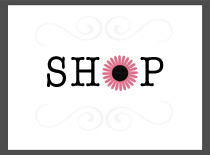 You can rotate the shape slightly if needed by highlighting the shape and using the green circle cursor. Step 3: Group all of the pieces together. 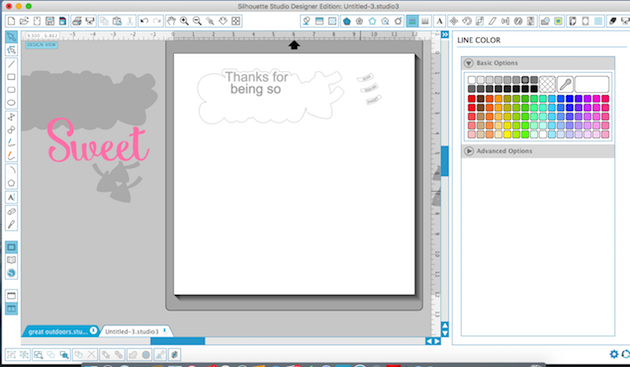 Step 4: Now create an offset. This will be the white base that you layer all of the pieces on. 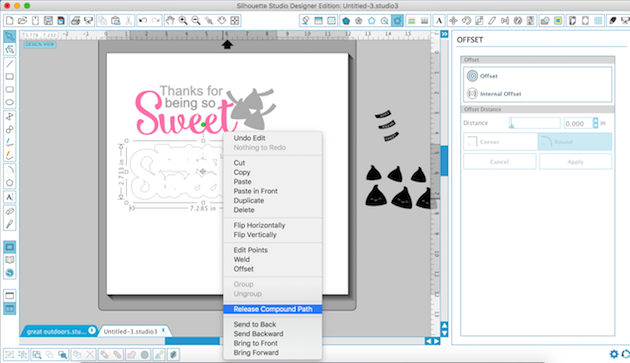 Step 5: Once you create the offset shape, move it off to another area of the mat and right-click to hit 'release compound path'. This will separate all of those tiny pieces in the center of the shape so that you can delete them. Step 6: Move the outer shape away from the tiny pieces. Highlight the little bits and delete them. 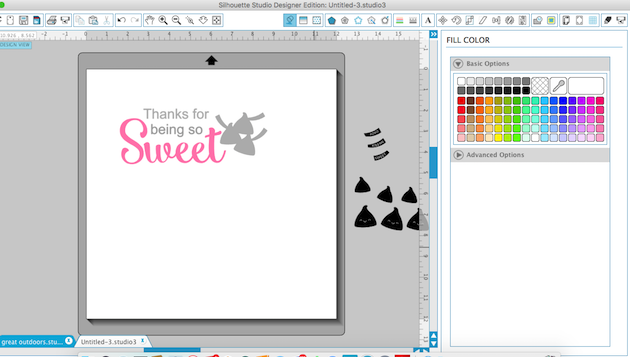 Step 7: Create another offset shape of the white background so that you can cut the bottom layer out of grey card stock. 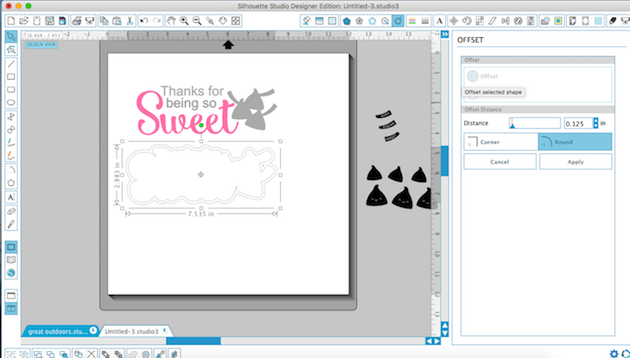 Once you cut all of the piece out, you should have a base grey layer, a white layer, the SWEET title, the KISSES shape, the tags for the candy and the layers for the candy. For the jar lid, I used the AWNING cut file and resized the pieces to make the strips approximately 4.5" in length. I cut several of the strips out of white card stock and cut a bunch of the little layering pieces out of Cream and Sugar 6x6 paper. 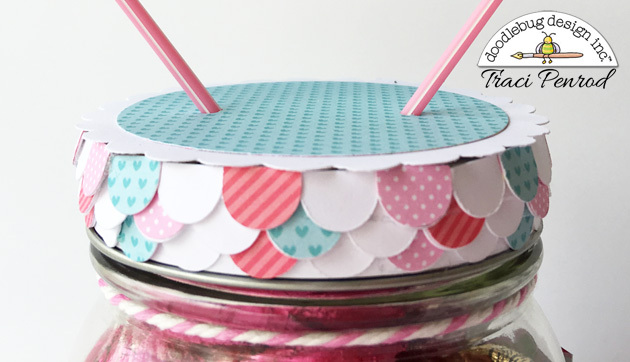 I adhered them around the sides of the lid and then topped the lid with a simple scallop circle punch (I didn't use the round metal top in the lid, only the side piece). 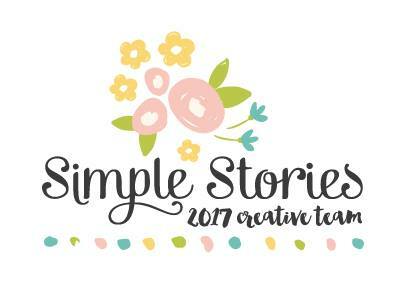 Finally I adhered Doodlebug pixie sticks to the back of the title piece and poked holes in my scallop top to hold the title in place. 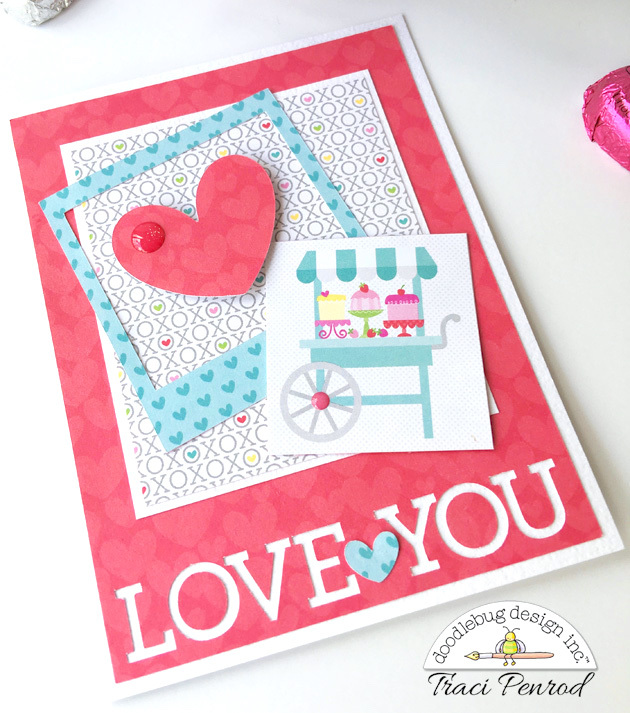 For the card, I cut the LOVE YOU title at the bottom of a 4" x 5.25" piece of Cream and Sugar pattern paper. I adhered this to a white card base and then layered on the HEART and POLAROID frame cut files and a little 2x2 image from 6x6 pattern paper. 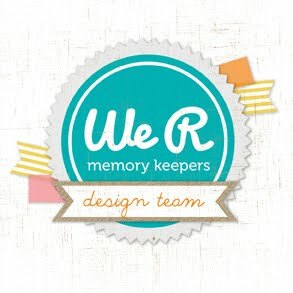 Thank you so much for checking out this project today! 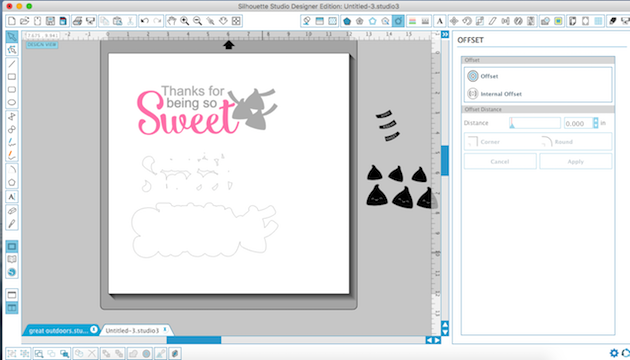 Be sure to check out all of the cute Cream and Sugar cut files available in the Silhouette Online Store and in Lori Whitlock's SVG shop.